The Cyber Security Program allows you to earn one or two distinct certificates to get an edge over your competition. You can choose to enrol only in the initial certificate or in both certificates at the same time to complete the full program. Build upon the foundational knowledge gained in the first certificate to develop managerial competencies and a more thorough understanding of the eight knowledge areas required for the CISSP designation. This certificate is scheduled to align with CISSP examination dates to allow graduates the opportunity to write the exam while the course material is still fresh in their minds. Pre-Requisites: Must have successfully completed the intial Certificate in Cyber Security Fundamentals or hold the CISSP designation. The Certificate in Cyber Security Fundamentals as a stand-alone offer, as well as the bundle of the Certificate in Cyber Security Fundamentals and the Certificate in Advanced Cyber Security taken together are direct registration programs. No application process is required; simply enrol in the session of your choice to get started. To register directly in the Certificate in Advanced Cyber Security, you must either complete the Certificate in Cyber Security Fundamentals first or hold the CISSP Designation. Direct enrolment into the Advanced Certificate is subject to review and approval by the Program Manager and is granted only by exception. 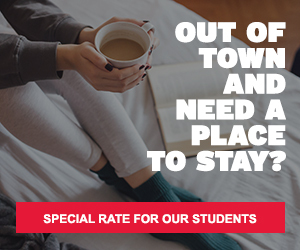 While studying Cyber Security with us, The Executive Learning Centre Hotel at York University is offering a special rate of $139/night, including continental breakfast, based on availability.